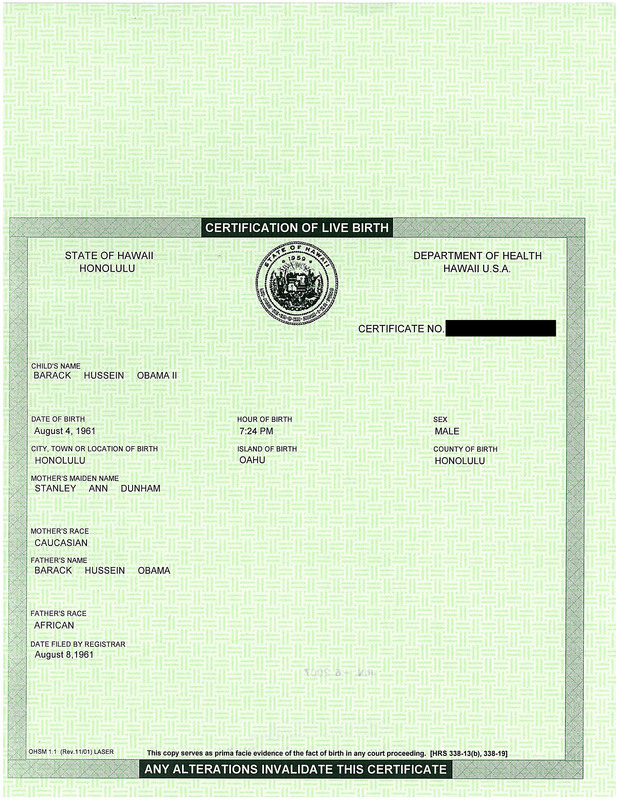 In a surprising turn of events, crusading birther attorney Orly Taitz (whose web site is included under the “Bad” links below) has attacked a fellow birther blogger whose web site, Obama Release Your Records, is listed under our “Ugly” links. 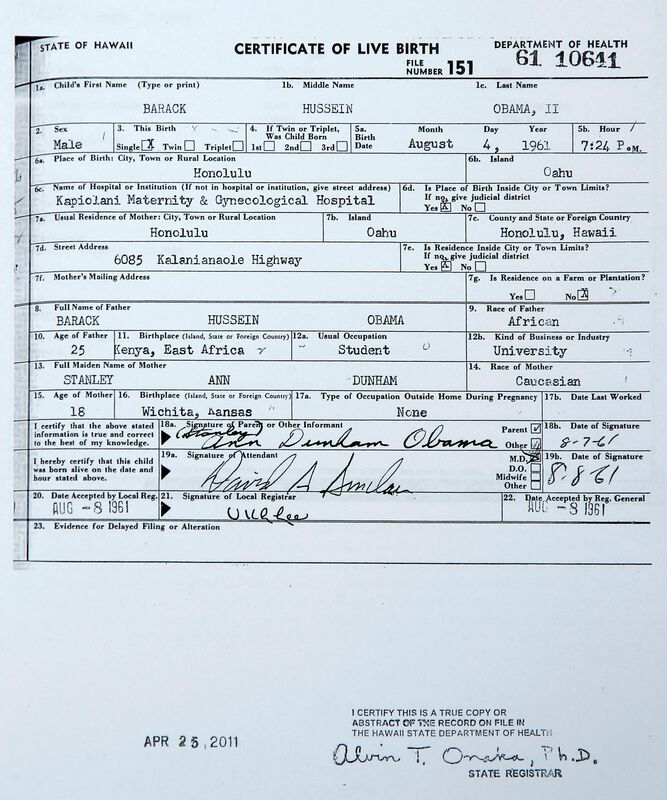 She claims that ORYR inaccurately characterizes her loss in Hawaii yesterday, where the judge refused to enforce a subpoena for Obama’s birth records. Every time I go somewhere, I tell my children how much I love them, so if something happens to me, it would be the last thing they would remember. It is easy hiding in the shadows [name redacted], it is easy making money on your blog, selling news, much of which is the result of my work and it is easy to criticize and slander others who are on the front line. The deputy attorney general on the case, Jill Nagamine (her husband is a family attorney for Obama’s family, he handled his sister’s divorce from her first husband) is a personification of corruption. In any state, where there is any rule of law, she would have been in prison together with a truck load of other corrupt officials. It seems that someone planted a pretty malicious virus or malware at Orly’s site. My security system picked it up and squashed it, but it is out there. Visit at your own peril. That bad item at Orly Taitz’s site I reported earlier is an exploit, quite nasty indeed. It is identified as SWF/Blacole.R. Really bad stuff. Doc, I’ll assume your tongue was firmly in your cheek when you said this was surprising. For Orly, fighting with other birthers happens about as often as failing in court. 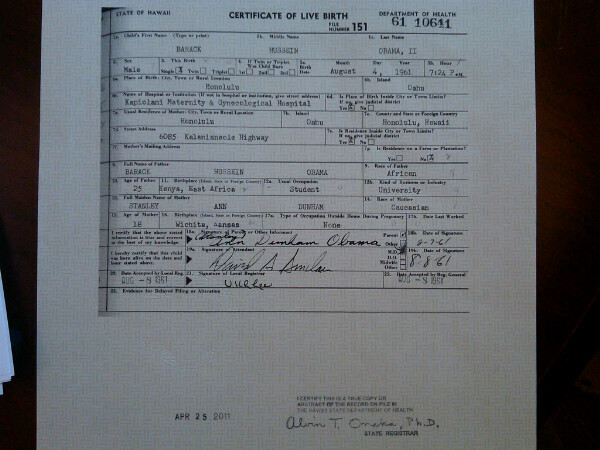 The interesting thing about birthers fighting is, whoever is right, they’re both wrong. You really should post malware warnings when linking to Orly’s site. You’re right–in this case (as is typical) I think it is ORYR who is right but wrong and Orly who is just wrong. 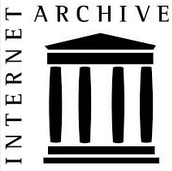 What I have done is to identify any hyperlinks to her site explicitly as such. I myself didn’t get any security warnings when I visited earlier. I use Microsoft Security Essentials and FireFox. Slartibartfast: You really should post malware warnings when linking to Orly’s site. The reason why some people get warnings and some do not is probably connected to what their browser allows. You can stop a lot of dangerous scripts in FireFox by looking carefully at the add-ons you allow. Allowing the Nitro plug in rather than the Adobe Acrobat one will probably stop quite q number already and still allow you to read and print PDFs immediately. I would not be surprised if Alexey Alexeyevich Nevedomsky still had the password necessary to edit her site. He seems to have left Kazakhstan for Belarus. This would have sucked as a Clint Eastwood movie. Good grief, if that is really as they claim, the list of key words that were most successful in getting visitors to her blog, you’d almost think it is NOT a birther site. Apart from the California bar ones, Doc’s site is not that much different from ORYR. Though it seems Doc should really write an article on Bilderberg to placate some visitors. One of the reasons why Orly’s site may be different is that traffic is so low that accidental hits look statistically relevant. I honestly can’t figure out what Taitz is so upset about. While the post at ORYR jumped the gun a bit, to me it seemed designed to paint Taitz as a victim and not as an idiot. Maybe she was already upset about the earlier post of that very critical letter. Orly will bite anyone and anything she believes is a threat to her. Be it a court or a friendly website she will lash out… She is so insecure. I’d like to say that Orly has gone over the edge, her family will intervene, and she will be admitted to some sort of hospital or rehab center but I’ve thought this many times. It’s actually too bad for her own sanity that she has the time and money to pursue her bizarre hobby. How does she have time for all this crap even as sloppy and mismanaged as it is? I think she’s decided that any means justify her ends — lying is okay, sending fake subpoenas is okay, calling a “hearing” a “trial” is okay. She’s willing to just say anything. You’re right, Bob. And in this, Orly is no different from creationists who distort and misrepresent the sciences in order to justify their absurd claims of a young earth, unaffected by evolution. Bob: >I think she’s decided that any means justify her ends — lying is okay, sending fake subpoenas is okay, calling a “hearing” a “trial” is okay. She’s willing to just say anything. Can someone clarify for me . . .
First, is Orly using another copy-and-paste subpoena from Georgia in her action against Nagamine? Second, who is Orly referring to when she speaks of Namine’s “client”? Does she mean Ms. Fuddy? Arthur: Can someone clarify for me . . . First, is Orly using another copy-and-paste subpoena from Georgia in her action against Nagamine? Second, who is Orly referring to when she speaks of Namine’s “client”? Does she mean Ms. Fuddy? There is a new development in this story. Dean Haskins at Birther Summit has published OF SUBPOENAS, TRIALS, AND A VEXATIOUS LITIGANT, which is quite critical of Orly Taitz. Extremely critical. What’s even more surprising is that the article is largely factually correct, and says a number of things that anti-birthers have been saying for years. Dave: There is a new development in this story. Dean Haskins at Birther Summit has published OF SUBPOENAS, TRIALS, AND A VEXATIOUS LITIGANT, which is quite critical of Orly Taitz. Extremely critical. My subpoena sounds better and better! Per Orly law, having been posted on line, this has the full force of law, and i expect prompt compliance. We need a poo retroreflector. 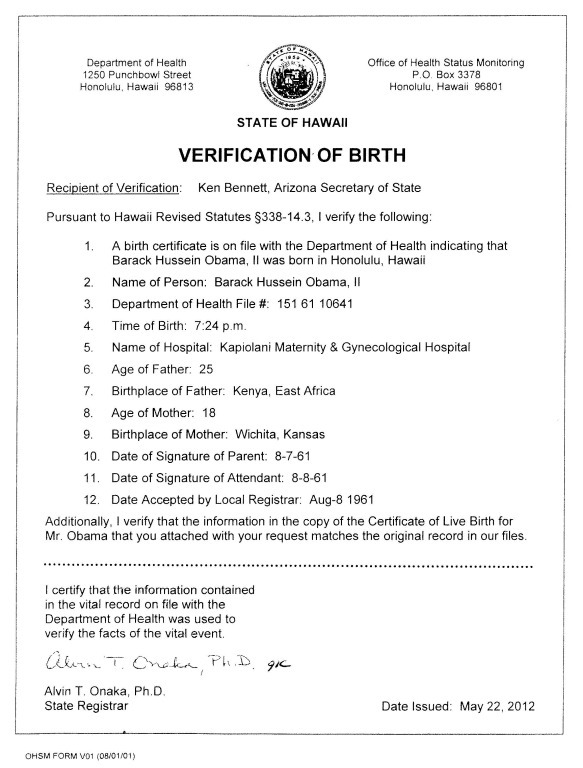 Dean has just explained the birther’s entire Modus operandi. Yep. That sums it up accurately. After reading that article from Dean and the commentary, I definitely think this is worthy of Dr. C doing his own full blog post on this topic (and moving the related comments here to that new thread) – as it is more significant than just what Dean said – it shows that some of these folks can still take some small steps back towards reality and rational thinking, once a light finally turns on in their head and the scales begin to fall from their eyes. Dean’s problem, along with many of the Birtheristani, is that they simply had a visceral, emotional negative reaction to Obama’s election and weakly dealt with it by desperately glomming onto any negative myth against him they could find to give themselves a personal justification they could use as a cover to explain and give shape to their gut fear/hate. In the end, all they did is brainwash themselves into being water carriers for this nonsense of Birtherism and wasting countless time and money chasing windmills and going down rabbit holes leading to nowhere. They have not been able to grasp that all they were doing is making themselves look bad and foolish to anyone who hadn’t drank their kool-aid and thus failed to understand the emnity they received whenever they tried to pull their stunts beyond the cover of their self-contained and sheltered communities. They have defended the indefensible, because they feared what would happen if they actually admitted errors or acknowledged reality – others would see the holes in their story and the cracks would eventually cause it all to come crashing down on top of them. What they failed to grasp is that those holes and cracks were quite obvious to everyone outside their little cult all along, so the only people they were fooling with these stunts is themselves. Resistance to them wasn’t some reverse-propoganda game being played back at them on their playing field… No, only they were playing games and couldn’t grasp that the rest of us were always grounded in reality. Thus why they haven’t been able to comprehend and predict their own obvious failures and why everything we constantly warned them to happen did happen…yet still never sank in to them. Maybe Dean will one day be able to grasp that it is okay for him to simply not like and not vote for Obama and he doesn’t need to create myths to back that up. There are many legitimate real world arguments and philosophical differences that anyone can have for why they vote the way they do. That is fine. Myths and slinging poop at walls isn’t ever necessary nor is it ever ethically justified. The instant reaction to reading his article is to respond by saying *DUH* and pointing out that what he is just now beginning to grasp and try to convey to others, is simply what we’ve been saying and trying to point out to him and his ilk all along. Should someone feel some embarassment for being “snookered” for so long and should they have some regret for how they behaved while they were brainwashed – YES. However, if they truly can learn from that and return towards being able to act like a sane and rational person, then that is a good thing – for everyone… and most importantly for themselves. The road to recovery for Cult followers can be a long one. But they can recover and deserve some support and encouragement on that journey. In many ways, this reminds me of the growth we’ve seen in Squeeky. As she too started to think critically, actually investigate things and then push back on the other scam artists out there, the changes went way beyond simply becoming more grounded in reality. There was a noticeable improvement in her writing style, humor, etc. that went along with it. In many ways, freeing herself from mindless acceptance of myth and being beholden to irrational emotion was transformational in enabling her to develop her skills and talents and flourish, far beyond just the limited issues and arguments of Birtherism. Allowing herself to think critically and think for herself has really started to free her to develop her potential and also her social and communication skills as well. She truly seems on her way to becoming a more confident and healthy individual and less trapped in some of the scars of her past. Dave: There is a new development in this story. Dean Haskins at Birther Summit has published OF SUBPOENAS, TRIALS, AND A VEXATIOUS LITIGANT, which is quite critical of Orly Taitz. Extremely critical.What’s even more surprising is that the article is largely factually correct, and says a number of things that anti-birthers have been saying for years. Some of the things Dean said were really evident of the process that finally opened his eyes (at least partially) to how crazy this whole thing has been. As I said before, my initial reaction is wanting to say *DUH* or point out the obvious IRONY of all of it – but more important is this is a welcome sign that Dean is begining to actually think for himself and learn how to question incredulous claims again. That is a welcome sign in any human being. I thought these particular snippets were significant and important in demonstrating how he was able to simply start “reasoning” for once and finally grasp why everyone else laughs at Orly and sees her failures coming from a mile away. Out of intense curiosity, I began looking seriously into these claims (something, I fear, many of us have been remiss at doing). Here is what I discovered about those fantastic claims: none of them were actually true —at least, not in a legal sense. First, what has been repeatedly referred to as a “trial,” will not be a trial, but an administrative hearing. Folks, it is being conducted by Georgia’s Office of State Administrative Hearings. That should be the first clue about what will actually take place! are you led to believe that the judge “signed” or “ordered” Orly’s subpoenas, or do you understand that the blank form was something Orly merely downloaded? Orly released a list of 22 witnesses that she has supposedly “served,” even though she never actually went to the trouble of doing what one must do to obtain proper service, so, any of those 22 who don’t actually reside in the State of Georgia have not actually been served, and have no legal reason to respond or appear. Any of them may choose to ask the judge to quash a subpoena, but that would be out of respect for the court and the legal process, and not because there is any validity to the subpoena itself. In fact, any such motion to quash would likely include the fact that the subpoena is legally invalid as a reason for it to be quashed. Now, if he can just start to build on this and try to use the same type of basic critical thinking skills to what he is told from anyone, and not just to Orly. Once he can break himself from faith-based slavish following of his “perceived leaders”, he might be able to learn to indentify right from wrong and truth from myth instead of just dutifully swallowing swill and carrying water for the other con artists out there. G: it shows that some of these folks can still take some small steps back towards reality and rational thinking, once a light finally turns on in their head and the scales begin to fall from their eyes. I am well aware of how some will perceive what I have said so far, but it is my belief that one can go after the right thing in the wrong way—and that it is never right to do wrong to get to what is right. We have been saying for nearly four years now that all we want is the truth; but, to me, we should not use deception and outright lies to obtain that truth—and, incompetence is not an excuse for dishonesty, neither is it conclusive proof that the other side is corrupt. I am not suggesting that corruption doesn’t exist, but incompetence on one side is not what proves corruption on the other. However, the fact that Orly stated that about ORYR goes to the very heart of the deception and spin. She tells lies, and, unfortunately, those who refer to her as “Lady Liberty” (for whatever reason), blindly believe what she posts. Now the true test is whether Dean is able to build on his epiphany and start approaching others and the rest of the world through the same critical reality-based lense. The words of caution he has used here are wise and correct – but they are simply what we’ve been trying to tell him and others this whole time. Dean has made an important first step, but he needs to continue to practice what he just preached and start applying that beyond just Orly herself. Heck, many can rightly argue that Dean needs to do reflect deeply now on his own actions and statements during this time period and hold that all up to the same lense of objective critical thinking. He is being brave and bold to try to speak truth to his fellow Birthers, as Cult members are always resistant to deprogramming and would rather brand someone as a “heretic” instead of realize that “one of their own” has seen some “light” and is only trying to share it and help enlighten all of them. G: Now, if he can just start to build on this and try to use the same type of basic critical thinking skills to what he is told from anyone, and not just to Orly. Once he can break himself from faith-based slavish following of his “perceived leaders”, he might be able to learn to indentify right from wrong and truth from myth instead of just dutifully swallowing swill and carrying water for the other con artists out there. Time will tell if Dean has taken the first steps in the journey you suggest, or if he just came to the realization that Orly has been an embarrassment to the birthers from day 1 and the difference in his prose is merely due to his argument having merit this time rather than any significant change in him. My money is on the latter–do you think Deano , lord of the dumbit, can prove me wrong? I agree. Just because I hold out hope that he learns to apply his epiphany beyond just Orly, doesn’t mean that I think that is inevitable. Slartibartfast: Time will tell if Dean has taken the first steps in the journey you suggest, or if he just came to the realization that Orly has been an embarrassment to the birthers from day 1 and the difference in his prose is merely due to his argument having merit this time rather than any significant change in him. My money is on the latter–do you think Deano , lord of the dumbit, can prove me wrong? G: I agree. Just because I hold out hope that he learns to apply his epiphany beyond just Orly, doesn’t mean that I think that is inevitable.